Have you ever wondered how best to hold your baby so that both you and the baby are getting the most support possible? A lot of new parents ask us what postures we recommend for baby-holding that will benefit both mom/dad and the baby. Today we are going to show you a good posture for infants who can self-support their head comfortably. Why is Goal #3 important? When a baby is being held on one hip, this may seem comfortable but it can cause long-term effects. With the baby’s weight always to one side of the torso, the parent’s body will shift and adapt to place more stress onto that side. Over time the muscles and bones can subtly shift to a distorted posture from that excess uneven weight. This may cause imbalances within the nerve system too! The nerve system controls every single thing your body does, and imbalances can slow down messages between the brain and the body. Its important to maintain a healthy nerve system to have a healthy life. 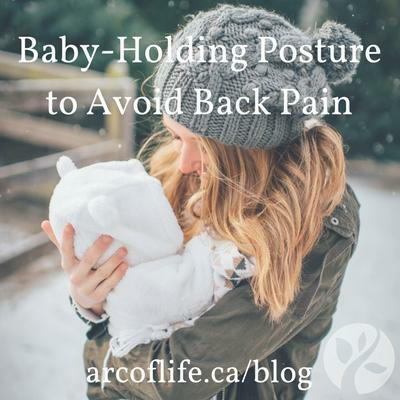 Check out Dr. Pauline’s recommended baby-holding posture and see how easy it is to better support your nerve system! Such a simple change in posture can have a huge effect on your comfort and health! It’s time to take care of your health, so that as a parent you can be a superhero and do the million of amazing things you do each day for your family! Want to know more? Subscribe to our newsletter for updates and videos on prenatal, pediatric and family health.